A Liberal believes that America’s Founding Documents are the US Constitution and Declaration of Independence. A few Liberals might add the state Constitutions from that time. Whatever limited number of documents they choose to acknowledge, liberals insist that these documents need to be interpreted. They might not mean what they “seem to” or “appear to” say. A Conservative believes that the founding documents were written in a language we can all know, read and understand, if we choose to. It is not to be “interpreted” to mean something other than the obvious meaning of words. A Conservative studies grammar, syntax and historic setting to correctly understand America’s founding documents. A Conservative is also very interested in knowing what the founding documents are. All of America’s founding documents are available online. The United States Constitution, the declaration of independence and the Articles of Confederation can be found in thousands of places. The Virginia Declaration of Rights, The Federalist Papers and the less well-known Anti-Federalist Papers are also readily available from many sites, though not as many as the Constitution and the Declaration of Independence. 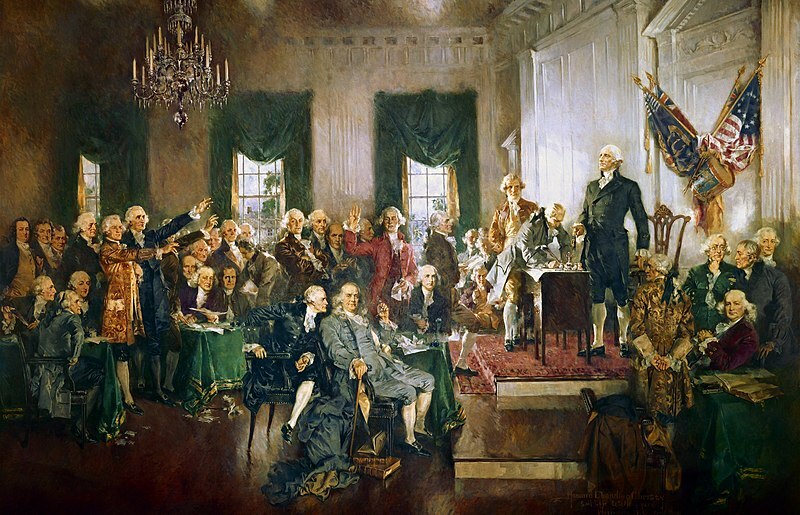 Each colony had ratification debates and the final ratified US Constitution had many changes from the original draft. These ratification debates more than any other documents describe what these men believed they were voting for. Unlike the ratified constitution, these are lengthy documents and more difficult to find. The only place I know where they are all together in one collection online is the US government archives. There are also personal letters of the delegates to the constitutional convention as well as the minutes of the constitutional convention. There is one other group of documents, often overlooked because they are the death knell of the liberal “interpretation” of the US Constitution. These are the foreign works Americans were very familiar with. There was the open rejection of French atheistic radicalism which would soon burst into the flames and mass murders of the French Revolution. There were the Continental peace treaties of Augsburg and Westphalia. There were the books of John Locke, widely read and accepted. There were the works of Rene Descartes and Voltaire, widely read and rejected. Adam Smith’s magnum opus, The Wealth of Nations was taught in school and these ideas were written into the US Constitution. But the two most influential works by far were the English Magna Carta and the Bible. The Magna Carta, somewhat surprisingly, is in the main rejected by the colonists. The Magna Carta supports but limits the monarchy. The Colonists openly reject the concept of a monarchy. The Magna Carta also supports feudalism and common law, also rejected in the US Constitution. But the opening phrase of the Magna Carta became the foundation stone of the US Constitution. “In the first place we grant to God and confirm by this our present charter for ourselves and our heirs in perpetuity that the English Church is to be free and to have all its rights fully and its liberties entirely.” Sadly, the English Church since Henry VIII has been subservient to the Crown. So the American Founding Fathers understood that the only way for a Church to remain truly free was to keep the government out of the Church. “Congress shall make no law respecting the establishment of a religion, nor prohibiting the free exercise thereof …” The only way of keeping any institution free, church, school or business is to keep the government out of it. The last, greatest and most important founding document of the United States is the Bible. Believe it or reject it, if you do not understand what the Bible teaches on the nature of man, economics, that the material world is temporary, man’s need of redemption, the limits of the authority of human government and our responsibility to God, then you cannot understand the US Constitution.